Trade print deals on business cards, flyers, leaflets & printing – we're a UK based trade printer. Sign up for free and easily order online. Marqetspace is trade only. That means we won't knowingly take orders from businesses other than graphic arts professionals. Marqetspace offers you an eclectic mix of print ideas, with over 50 combinations of paper types and print finishes. A broad range of paper types from lightweight 80gsm uncoated up to 600gsm for unrivalled gravitas. Request a sample pack or paper swatch book and see our print quality and paper stocks for yourself. Most of our products on this website have a fixed turnaround. For instance, an item with a 3 day turnaround means order Monday, delivered Thursday. 5 working days: approve Monday, delivered the following Monday. 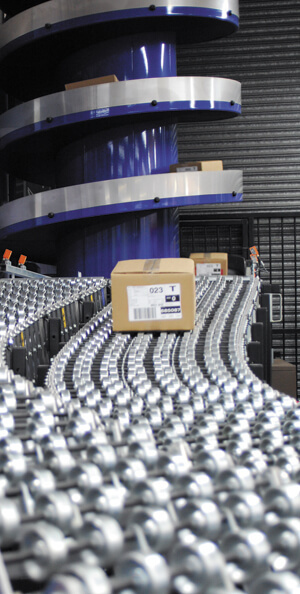 Order with confidence knowing that 99.97% of orders are despatched on time or early from our production hub. Need your print faster, take a look at our turnaround options. We print everything in our own factory in Manchester. You don’t have to worry about problems with shipments coming from overseas, or being stuck in the middle with a trade service who turns out to be just a middleman. Our support team sit in the same building as our presses – if something goes wrong, they can fix it. We think that’s important. Our software, systems and processes are focused on delivering your order on time, every time and ensuring it’s right first time. Of course we have the international quality standard ISO:9001 (and indeed ISO:14001 for environmental) but it’s the minutiae of how we operate that provides the difference. We price our products as low as possible. However, we don’t believe in false economies. We won’t cut out all of the production ‘checks and balances’ that makes our production hub so reliable. Register online and start buying at trade prices today - no registration or subscription fees to pay.